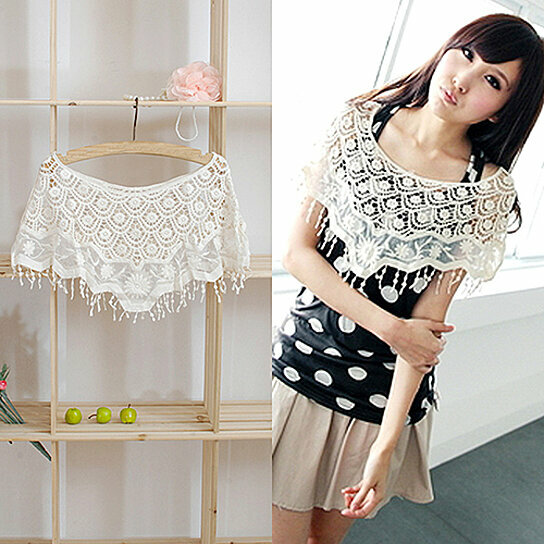 A sweet hollow crochet lace cape shawl. Really versatile, It can be pair with all clothes at all seasons. Don't miss it, make it one of your wardrobe collections.